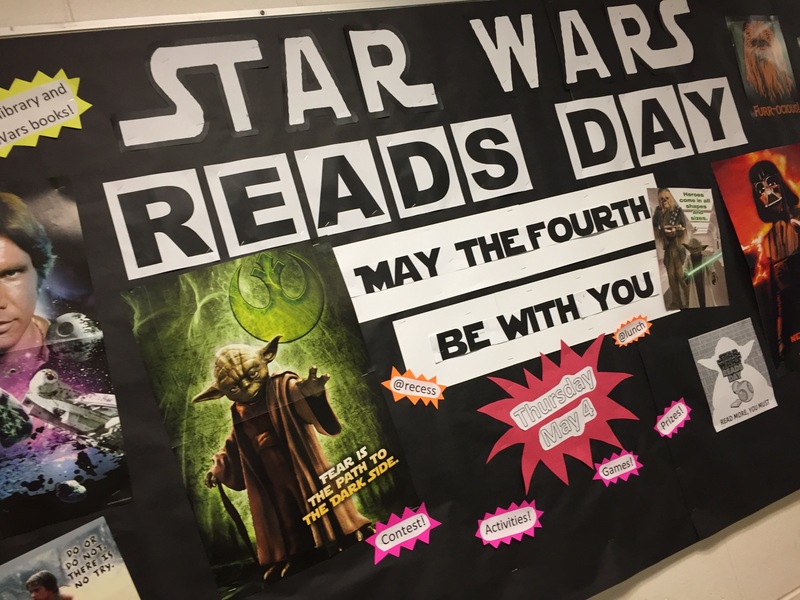 Wednesday, May 4th is Star Wars Reads Day in the library. 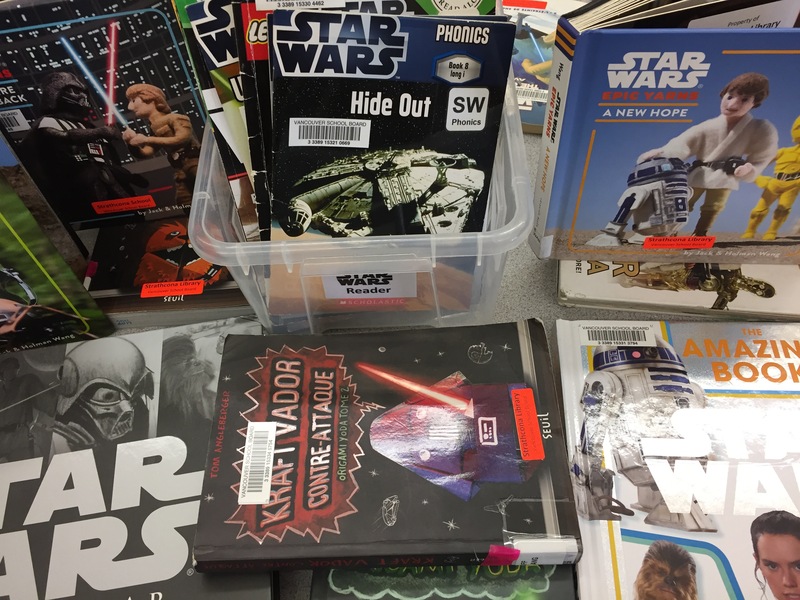 Drop by at recess, lunch or after school for lots of fun activities: character drawing contest, a trivia quiz, and a Star Wars word search. 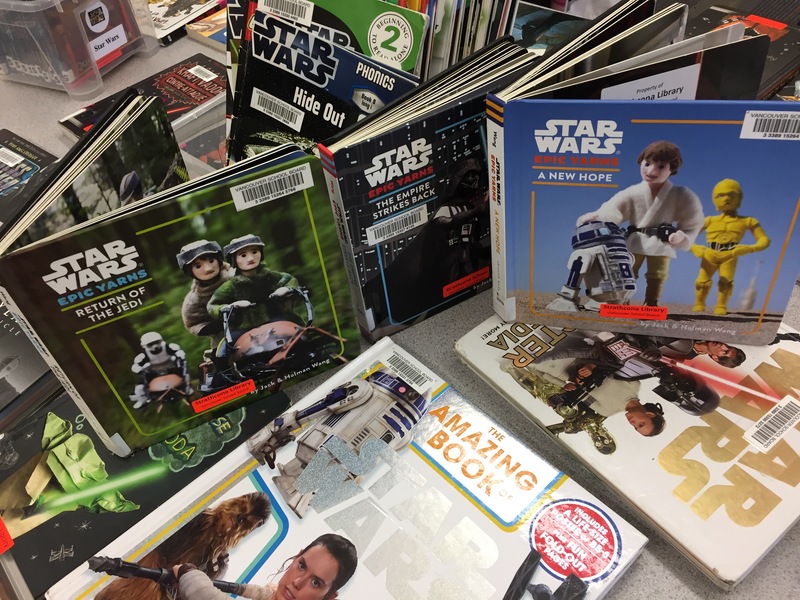 We will have lots of Star Wars book to read, so put on your favourite Star Wars costume and come to the library! 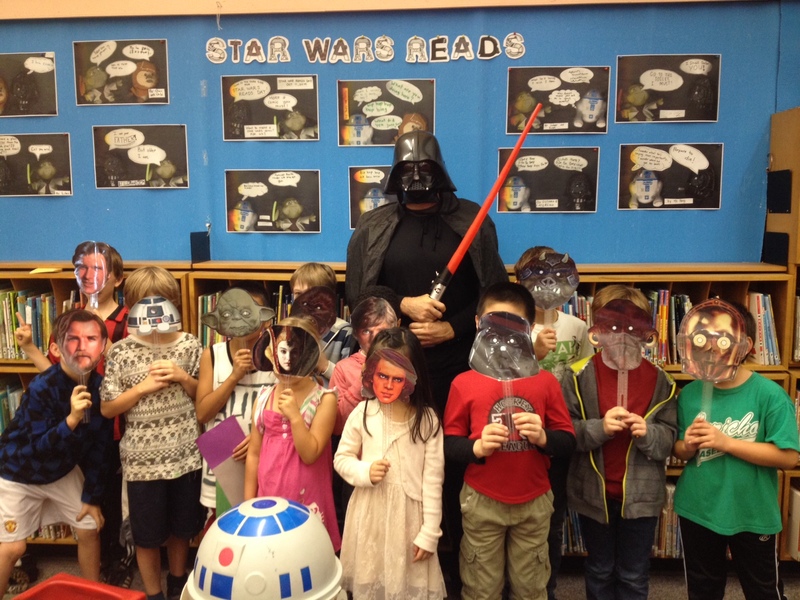 This week we celebrated Star Wars Reads Day! 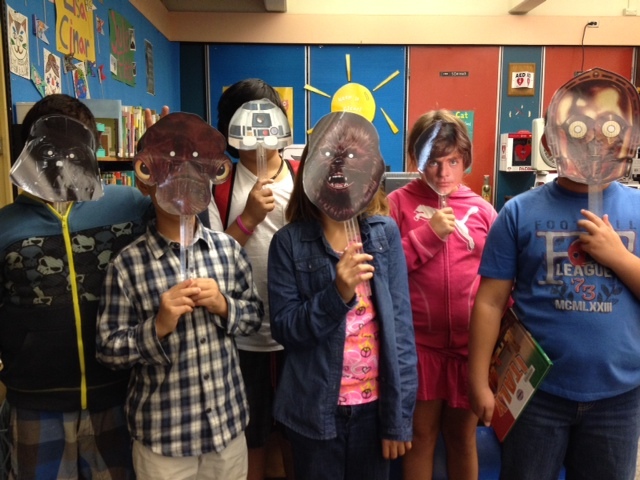 Students from Mme. Annie’s class wrote short conversations between two Star Wars characters using cut out speech bubbles, plushies, and a colour photocopier. 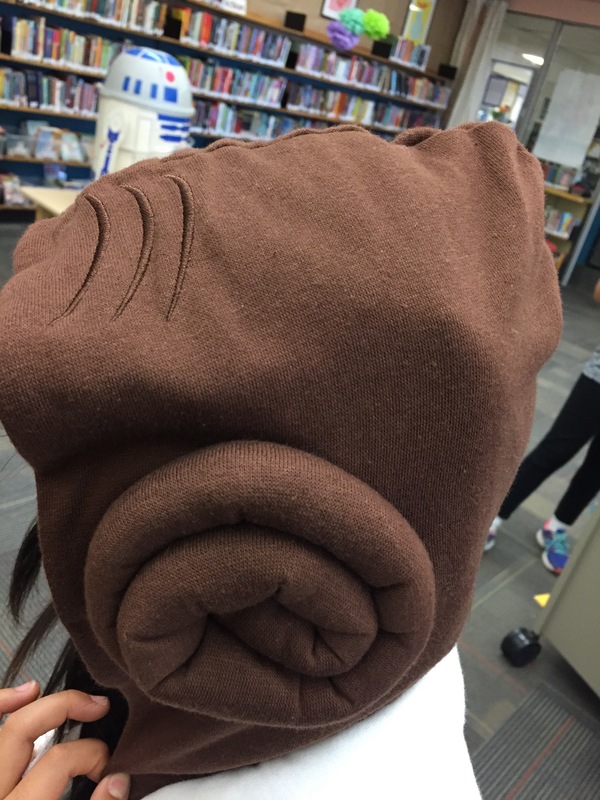 It was a super fun collaborative activity with one French Immersion class, the Vancouver Public Library, our wonderful Inner City Project Teacher, Margot, and me, the teacher librarian. Students completed quizzes in French and English and submitted them for prize draws. Students can continue to submit quizzes next week. 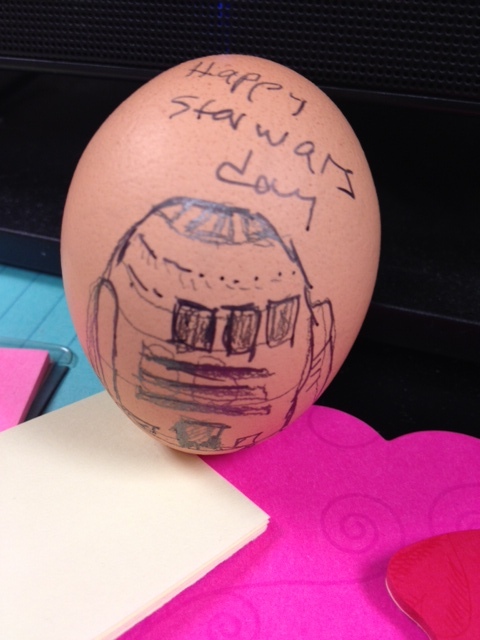 Some classes read Star Wars books and did Star Wars crossword puzzles and mazes (official website has free downloadable activities), eggs were decorated, and we even had a surprise visitors!